Clergy Nominee The Rev. 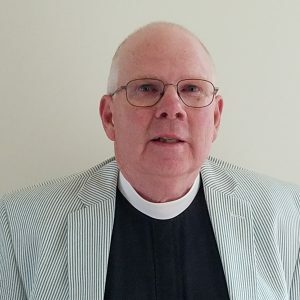 James (Jim) Jenkins, Deacon, St. Paul’s, Bloomsburg While new to this diocese and ordained ministry, I have served on the vestries of four different parishes and I have served as Treasurer, Junior Warden and Senior Warden. I have both a Bachelor’s and Master’s degree in Business Administration. For the past 24 years, I have been an internal auditor primarily as an Audit Manager and Audit Director. As a result, I have worked closely with the Board of Directors for several corporations. I also served as the president of a new homeowners association and established its governance structure. Additionally, I worked with two smaller tax-exempt organizations and helped them overhaul their governance structure and improve coordination and internal controls. 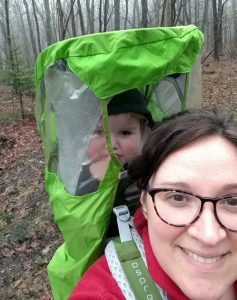 Lay Nominee Shannon Mikolajczyk Berndt, St. Luke’s, Altoona I have served on the National Executive Council of the Episcopal Peace Fellowship before joining the paid staff, since 2006. In that time, I have worked with the Labor-Religion Coalition of NY state and Tompkins County Worker Center. 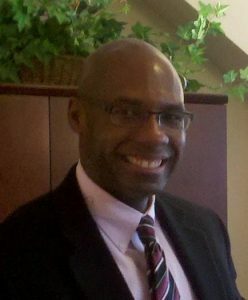 I understand the mission and goals of a religious non-profit organization and many of the complexities that it creates. I am detail oriented and able to put personal feelings aside to achieve common goals. My experience with Episcopalians (both lay and clergy) across the country has helped me to understand how diverse The Episcopal Church can be and the challenges of church polity. Clergy Nominees The Rev. 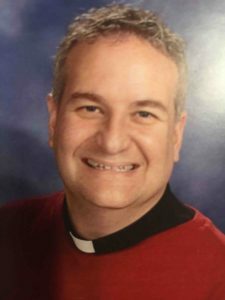 Ken Wagner-Pizza, Trinity Pro-Cathedral, Williamsport While this new challenge, I hope to serve and have some experience in living in another diocese that had to convene their disciplinary board. I also worked for a corporation in which I was at separate times in the union and in management in which disciplinary actions had to be enacted upon according to policy and as fairly as possible to all parties. My prayer is that we never will need to use this ministry, but that we are prepared and ready if called upon at any time in the future. The Rev. Dr. Kimberly Brooks, Diocesan Supply Clergy I enjoy working and interacting with people. I have a solid understanding of Scripture and how it relates to everyday life. I have a voice in most areas of conversations, i.e., liberal voices, Evangelical voices and LGBTQ. My educational background allows me to, at the least, understand different views of the Bible and interpretation of Canon Law and most of all, human behavior. I believe I would be a solid member of the Disciplinary Board. 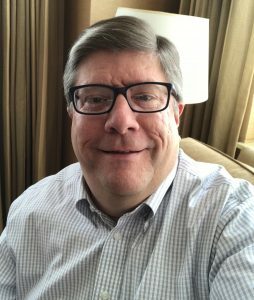 Lay Nominee Kevin W. Barron, St. Andrew’s State College I possess the ability to evaluate data presented before me and to come to conclusions based upon the evidence presented. I can be relied upon to hold matters in strict confidence. I uphold the dignity and respect of others regardless of whether or not we may agree. Finally, I confidently confront difficult issues or unpleasant tasks with care and compassion and do not hesitate to own the decisions I make concerning the outcomes. Clergy Nominees The Rev. 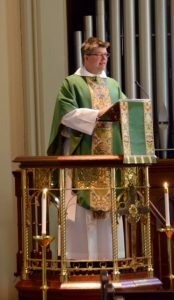 Canon Paul C. Donecker, All Saints, Selinsgrove I have a great love of Central Pennsylvania and the people of this diocese and seek to continue to serve into a fourth decade. The Rev. 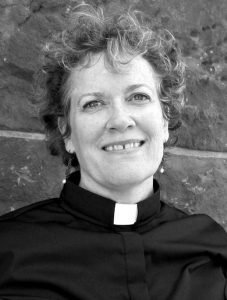 Canon Kate Harrigan, St. Paul’s, Harrisburg Having served on Standing Committee for one term, I would like to continue this service. 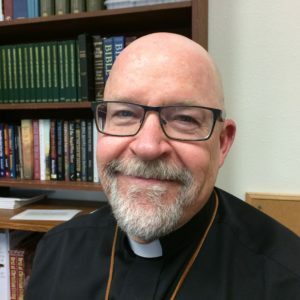 I bring a deep knowledge and love of the diocese and the wider church to this ministry, as well as my experience in the church and the community. I have served in various capacities in the church enabling me to understand the many issues which come before the Standing Committee. I also believe I bring the gift of looking forward with hope, envisioning the future of this diocese. The Rev. Adam Kradel, St. John’s Carlisle I am an experienced Diocesan leader. As part of a group of about 35 dedicated lay leaders, I helped the Diocese of Pennsylvania transition from being a Diocese in conflict with its Bishop (Bishop Charles Bennison) to a Diocese in leadership in transition to finally, a Diocese with a new Bishop doing new things. This took much effort and it was a labor of love. I cut my teeth in Diocesan ministries as a 16-year-old church camp counselor in an Episcopal camp. This camp still does ministry and can be a resource for Diocese of Central PA parishes, especially the southern section of the Diocese, as the camp is in West Virginia. Part of my background is that I entered a doctoral program in political science after being ordained and serving as a curate. This was a six-year program in which I was trained in skills such as survey research, data analysis, statistical analysis, and historical process tracing. As a parish priest, I have used these abilities to help my peers navigate the post-Christendom atmosphere in which we live and do ministry. Sometimes my peers are open to perceiving this new atmosphere, sometimes they are not. The Diocese of Pennsylvania certainly feels the strains that come from this new era. My goal will be to work with Diocesan leaders to see future potential. The Rev. W. Michael Nailor, St. Matthew’s, Sunbury I bring support for our Bishop’s vision and work. Where things are working well — I am an effective advocate for the status quo. Where things are not working well — I will work, with open heart and open mind, to discern as a member of the Committee where God is leading us. 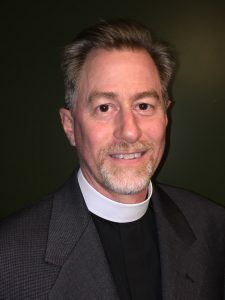 Through five years in our discernment process, I have gained a deep understanding of Episcopal ministry in Central Pennsylvania. 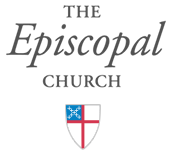 Through my work with the Bishop’s Mission Resource Teams, particularly in the Southern Convocation, I have gained a broader view of the diocese and the unique characteristics of our parishes. The Rev. Jeffrey A. Packard, St. Andrew’s, State College Even though I have only been back in Central PA since the last diocesan convention, I grew up in State College an active member of St Andrew’s. 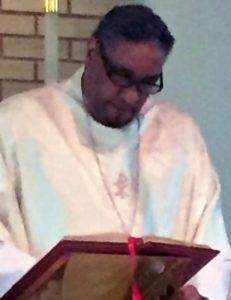 I was presented for ordination from St. Andrew’s and worked as a curate there my first year out of seminary. Then I served for about four and a half years in the Northern Tier at Christ Church, Coudersport and All Saints, Brookland. For the past 17 years, I have been the rector of Christ Church in Spotsylvania, Virginia. In the Diocese of Virginia I served the diocese in a number of ways, including: Diocesan Board member, chair of the Budget Committee at Diocesan Council 2 years, member of the Commission for the Prevention of Sexual Misconduct, a trainer for misconduct prevention, member of the Diocesan Disciplinary Review Board, Regional Dean, and member of the bishop’s ”Think Tank.” I bring 23 years of ordained experience, in which I have served small and large parishes. I have both knowledge of the history and the culture of Central Pennsylvania and a breadth of experience from another diocese. I have served troubled parishes in the past and led them to health. I believe that as a diocese we face real challenges but I still have great hope that God is working here and will lead us to a positive future. I would be honored to work with Bishop Scanlan and the Standing Committee to face those challenges with faith, creativity, hope, and openness. The Rev. Sarah L Weedon, St. Andrew’s, Lewisburg I am a collaborative worker who seeks to promote the unity and health of all members of this Diocese. I enjoy using my creative energies in imagining new ways of engaging in mission work and being Church. With my many years of experience as a very active church member combined with the past 6 years of seminary and ordained work, I have a well-informed perspective on the variety of issues facing churches today. My work as a layperson and as a priest in small struggling churches as well as larger more stable churches has me eager to serve all through the work of the Standing Committee. 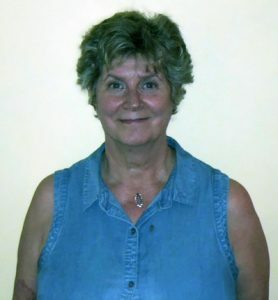 Lay Nominees Susan Landin, St. Edward’s, Lancaster My qualities are simple: unwavering faith, pragmatic leadership, and an earnest yearning to spread the unquenchable thirst for faith to those in and around our diocese. My goal is to be a thoughtful and understanding steward of our Diocese and our Church, now and into the future – a future in which I see not just exciting potential, but success, and growth. I love establishing new relationships, I love giving, and I love the church. I am here to serve.